★ Delivery Minimum $45 (Local Areas for Free Delivery). If under minimum Additional charge of $15 will be applied. We are a complete delivery service delivering top quality medicine to your doorstep discreetly. Your safety is our #1 priority, All of our products are guaranteed lab-tested and free of pesticides! We specialize in high-quality, high THC strains from notable growers & industry-leading brand names. Become our patient today and enjoy a huge variety of carefully selected medicine of the best quality for the lowest price available on the market (we match any delivery service price). ⚡ REFER A FRIEND & GET $10 FREE IN STORE CREDIT! ★ LOWEST PRICES GUARANTEED - WE MATCH ANY DELIVERY SERVICE PRICE! 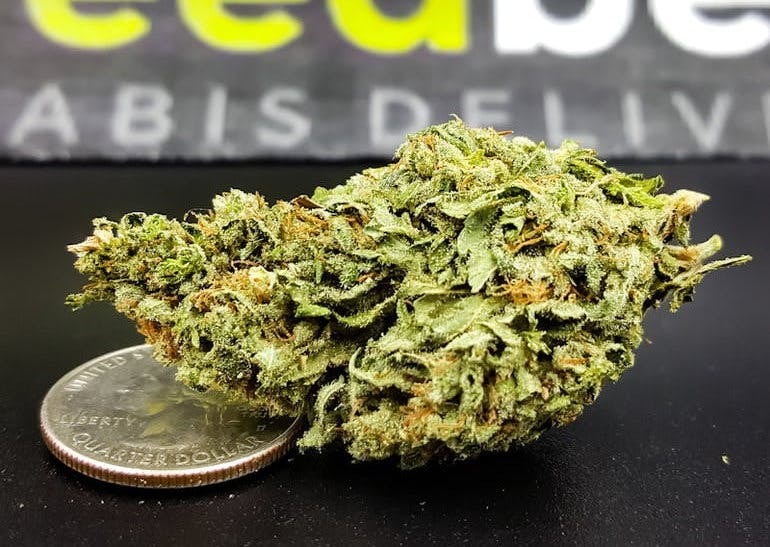 ★ TOPSHELF FLOWER STARTING AT 14G/$69 OR 28G/$119! ★ BRASS KNUCKLES VAPE CARTRIDGE 3G/$99! ★ HEAVY HITTERS VAPE CARTRIDGE 3G/$99! ★ KINGPEN VAPE CARTRIDGE 3G/$99! ★ ABLE ESSENCE VAPE CARTRIDGES 2G/$49 OR 5G/$99! ★ CANNA CANDYS LOLLIPOP 100MG 5 FOR $29! ★ KUSHTOWN SODA 150MG 5 FOR $35! ** Referral gets $10 to apply towards next order (min. order applies). Has to be separate household. *** Note: VIP rewards points expire after 30 days. ***** All sales are final. Faulty cartridges will be replaced for free if notified on same day only. If later, there will be $8-$15 delivery charge OR no charge if places a minimum order. FTP Get 5 FREE GRAMS OF TOPSHELF SHAKE w/min don. or 14 FREE GRAMS w/$99+ donation! +5% BACK IN STORE CREDIT to Apply Towards Next Order! ⚡ Disabled, Veterans, Senior Citizens & Students Get A TOPSHELF PREROLL + 5% STORE CREDIT BACK TOWARDS NEXT ORDER!